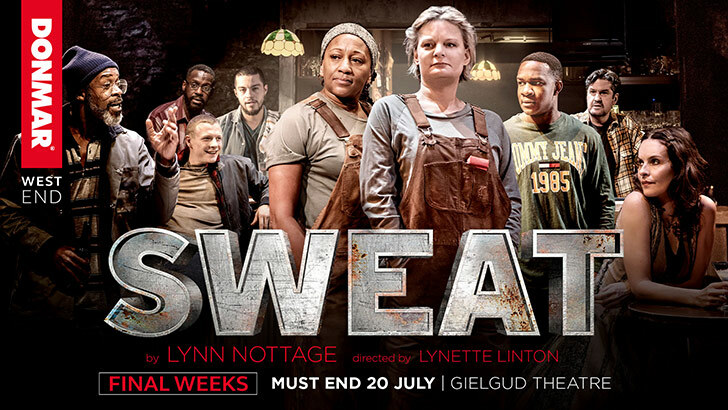 Following a sold-out run at the Donmar Warehouse, Lynn Nottage's Pulitzer Prize-winning play SWEAT transfers to Gielgud Theatre for 50 performances only. 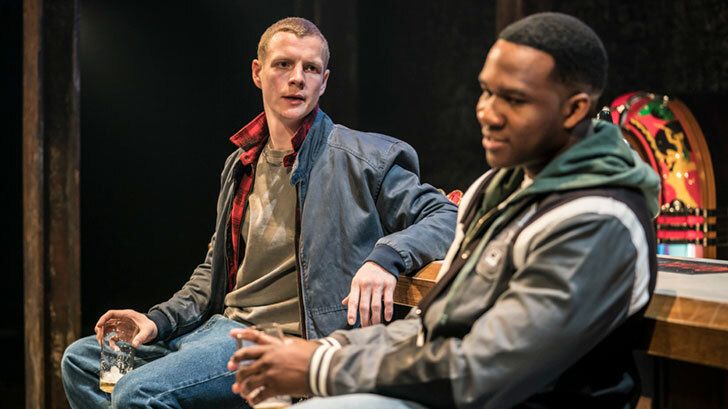 This 'breathtaking new play' (The Guardian) delivers 'a knock-out blow of theatrical force' (Daily Telegraph) as it delves deep into the forgotten heart of middle America in 'the year's most powerful play' (The Observer). 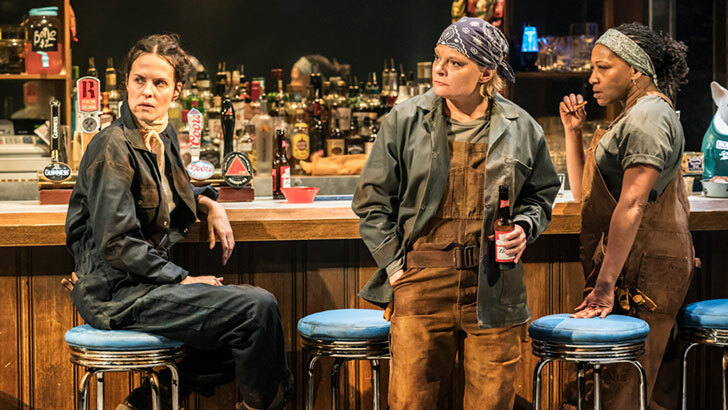 Centred around the friendships of factory workers and set in an all-American bar, the play explores the relationships, resentments and fears of a community left divided by de-industrialisation. Simmering racial tensions and mounting anger lead to a devastating outcome for the residents of Reading, Pennsylvania. 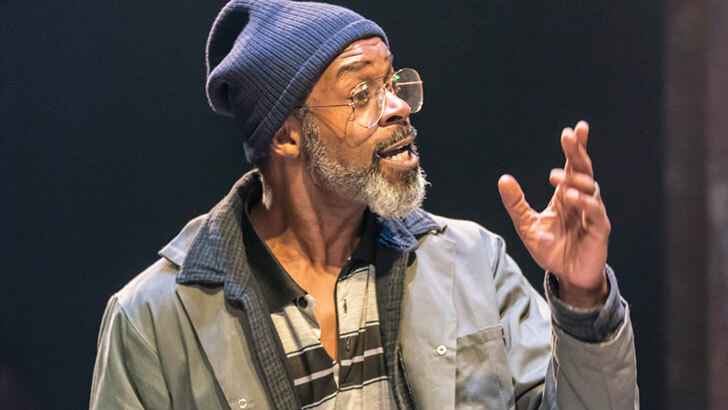 'By turns profound, terrifying, earthy and witty, Lynette Linton's superbly calibrated production excels fromstart to finish' (Evening Standard) and features 'a superlative cast' (The Sunday Times). 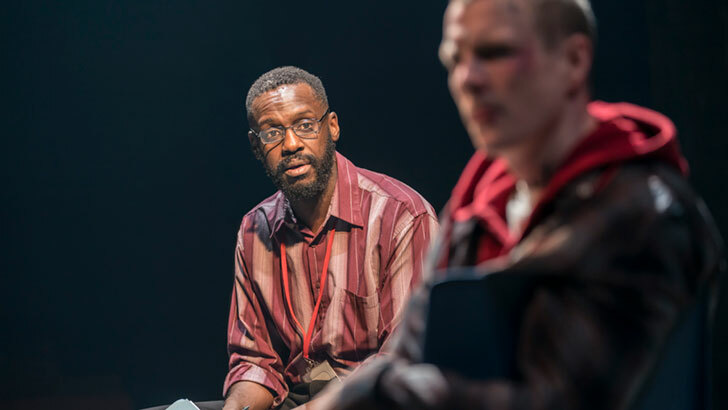 In an era defined by division and mistrust this is a 'humane, heartbreaking' and 'magnificent' play (Financial Times). The running time of SWEAT is 2 hours 25 minutes, including a 15 minute interval. *Prices include a £2.25 online booking fee. An additional 50p booking fee will be added to telephone bookings. Booking fees do not apply to tickets purchased in person at the box office. Band A reduced to £45.00, valid Monday - Thursday performances. Bands A & B reduced to £25.00, plus 1 free teacher ticket for every 10 pupils booked. Valid for Monday - Thursday performances. To add some extra sparkle to your evening, why not upgrade your Sweat booking to one of our Champagne or VIP Packages? Prices start from £125.00 per person, inclusive of VAT. If you have already purchased your tickets, you can add this package from £40 per person, inclusive of VAT. Please call 020 7766 2112 to upgrade your booking. Prices start from £180.00 per person, inclusive of VAT. If you have already purchased your tickets, you can add this package from £95 per person, inclusive of VAT. Please call 020 7766 2112 to upgrade your booking. Enjoy a three-course meal from a set menu at Refuel Bar & Restaurant at The Soho Hotel as well as premium tickets to SWEAT at Gielgud Theatre.